If you’re planning a thorough home renovation in the upcoming year, then this article is just for you. Below are some practical tips to ensure your renovation project goes smoothly, on a budget, and, most importantly, safely. Whether you’re upgrading a period gem, rescuing a classic house from ruin, or breathing new life back into a worn out and neglected home, staying on budget is one of the crucial goals of your project. Don’t allow enthusiasm to get the best of you, and take time to carefully plan the renovation works. 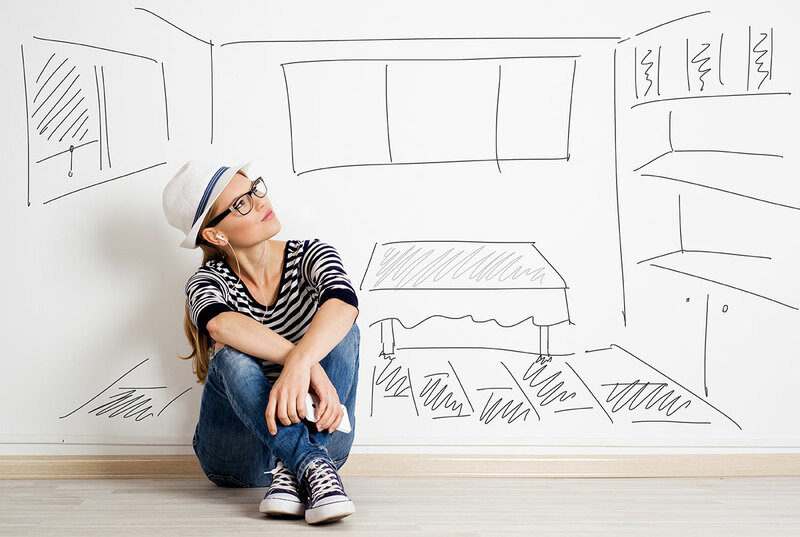 At the top of your list of things to prepare is the money you plan to spend on your renovation project. You’ll need to calculate your finance options. This will help your project run more smoothly while helping you keep track of your renovation budget more accurately. Make a house renovation checklist and follow it to a T. This checklist should include things you need before and after the project starts. When you purchased your home, it should have been apparent at the point of sale whether or not the home is listed. However, if you’re unsure, you’re required to check about it, because it’s a crime to do renovations on a listed house. If a home was built in 1840 or earlier, it would, more than likely, be recorded; around 500,000 homes in the UK fall under this category. Homes that are located in a Conservation Area have an additional protective status that can hamper works on it. Called “Restrictions in Conservation Areas“, these restrictions generally only affect work done to the exterior of a property, since the point is to “preserve or enhance the character of appearance” of a structure in these areas. Your permitted development rights will also be affected. This means you’ll still need to get permission to work in areas you usually don’t need a permit for. Surely you know someone who has gone through renovations in the past. Ask them if they know of a builder, architect, or project manager. You should feel confident and comfortable with the skills of the people working on your project. For those buying a property under a renovation project, it’s better to hire an expert, such as an architect or a builder. They can help you get an idea of the costs, which you should take into consideration before making an offer. You would not forget to ensure your property and your belongings. You may be however unaware that some insurance policies don’t cover mishaps that occur during extensive home renovations. Carrying out improvements without talking with your insurance company first may lead to your policy being void if anything did go wrong. You should also take note that standard insurance plans only cover home and buildings that are inhabited, so if you are planning to live elsewhere while the project is underway, be sure to inform your insurance company first. Finally, it’s always a good idea to purchase special renovations insurance. The level of the policy depends on the kind of works done to your home. Ask your main contractor whether they have site insurance. If you’re employing subcontractors, this means you are taking on the role of the main contractor, so you’ll be responsible for the site insurance yourself. Site insurance should cover employer’s liability, onsite damages, legal expenses, and public liability. If something were to happen, not having insurance will impact your project. Getting your renovations insured is good, but it isn’t going to cover cases of theft, break-ins, etc. possible damages. In order to protect your investment, you should get insurance that covers such damages, as well as possible loss of movable property, such as tools and equipment. Furthermore, don’t think that just because your home under renovation is empty, you have nothing to worry about. Crooks could steal anything, even if it is bolted down. It’s not uncommon for thieves to break into empty homes and steal copper piping, wiring, and even architectural items, such as trim, sinks, toilets, tiles, and other items. It might also be a good idea to hire a private security patrol to pass by your property during the night to ward off anyone casing it.